I was moved to showcase these women in hopes that women would draw strength, courage, and hope from these stories. In life you may come across a strong, bold, beautiful and courageous woman. One who inspires, motivates and has a zeal for life. These three extraordinary women are inspiring to me, women in general and to breast cancer patients/survivors. In the midst of their darkest hours, these women decided to opt for a fighter mentality instead of a defeated one. To them, life was worth fighting for, as it's a precious gift from God. Each survivor will share their story, key survival mechanisms, what they are up to in the world today, and will end with some words of encouragement. Meet Bershan Shaw, Robin Devonish Scott and Taneeka Brown. In 2007 at just 33 years old, Bershan's dreams were abruptly eclipsed by the cold, hard reality of 1.2 cm tumors, endless visits to oncologists and having to face her own mortality at a young age. Bershan decided to face her illness head on, with a positive spirit, and with support from her family and her husband. To protect herself from infertility, she opted for radiation treatment instead of chemotherapy. All was well for a short while, but two years the cancer returned. Two weeks before her wedding, her doctors gave the bleak diagnosis: stage four breast cancer with six to nine months left to live. It appeared her fight was over. The warrior in Bershan had been tested many times in her 33 years. But when she was told her cancer was unbeatable, and it was time to set her affairs in order, the warrior inside her rose up to meet the impossible with a spirit of hopeful defiance. Bershan leveled a steady gaze at her team of grieving oncologists and replied, "This is not my life. I will not die, because I was meant for more." True to her word, Bershan has done much more. 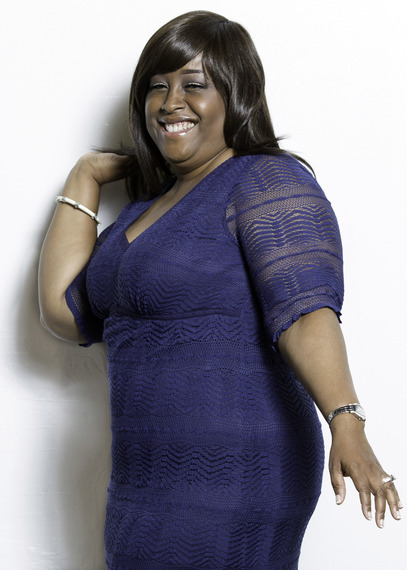 Rather than living in the shadow of a stage four cancer diagnoses, Bershan chose to work tirelessly on her mental, physical and spiritual health. Seven years later, she is cancer-free (no evidence of disease). Prayer. "God is my all in all. I got on my knees and prayed if God keeps me alive then he could use me as a vessel to help millions." Positive affirmations. "I say positive affirmations everyday nine times a day because it sticks in your head. Endless good comes to me in endless ways." Eating healthy and exercising. "You have to eat healthy and take control of your mind and body. I changed my thoughts and attitude, which changed my life. Change your diet and make changes for the better because your body is your temple." 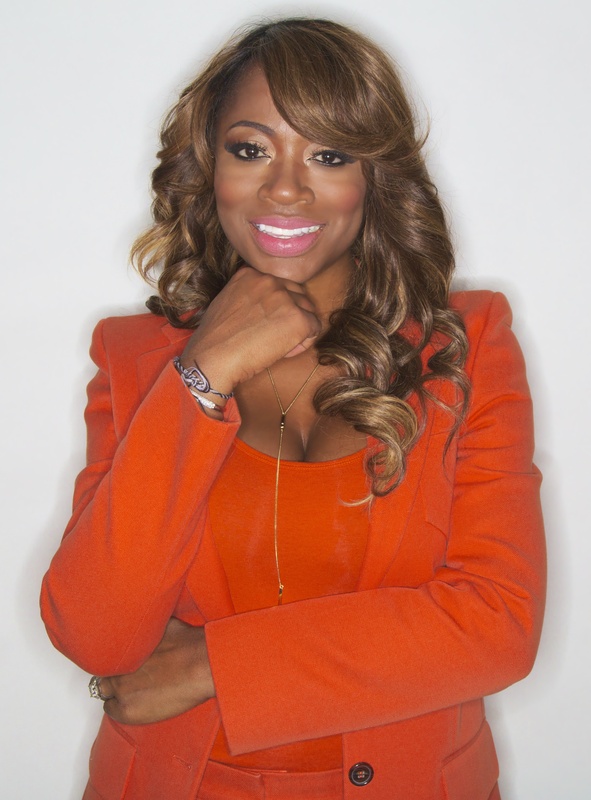 Bershan is a life coach, author and motivational speaker. Determined to be a blessing to others, she started a unique social network support site, URAWarrior.com. The site offers those struggling with life altering issues a safe, supportive place where they can find connection, comfort, inspiration, and above all, hope for a brighter tomorrow. Bershan is also the author of URAWARRIOR 365 Ways to Challenge You to a Better Life. Embrace your warrior spirit and "step into your greatness" and turn your pain into your purpose. Live life with no regrets because when you're done, you're done. One day Robin felt a lump in her breast and arm pit, but she just associated with her menstrual cycle. After a series of examinations, Robin was diagnosed with stage IIB cancer in 2009. After hearing these three words from her doctor "you have cancer," Robin immediately started to cry uncontrollably as her husband Rory comforted her. Robin went through chemotherapy for six months, and radiation for seven weeks. 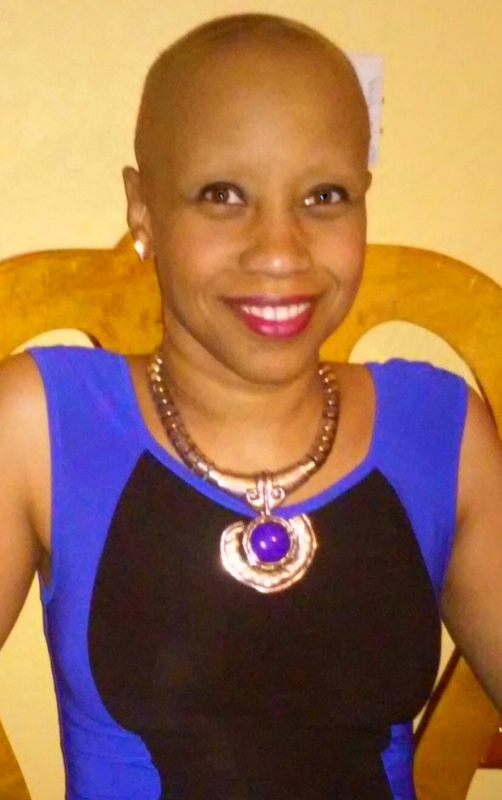 During the times she experienced physical weakness, and the loss of her hair, she realized her circumstance changed her views and thoughts on life (for the better of course). She began to experience life through a different lens, becoming more empathetic and more spiritually in tune. The support of her friends, husband and church family kept her going during this difficult time. Most importantly, she learned the importance of being humble. She stated, "Cancer has a funny way of stripping and humbling you in ways not otherwise imagined." She has been breast cancer free since her initial diagnosis in 2009. Focus on what's important. A lot of what we think and do is really not as important as living a life of purpose that is designed by God. Learn to let things and people go. Learn to release the hurt and the people that have hurt you. Most people don't know they have hurt you so just let go, heal from it and move on. Prayer. Prayer is talking; prayer is purging; prayer is cleansing; prayer allows you to forgive; prayer allows you to obtain mercy; prayer is surrender; prayer is rejoicing; prayer is crying; but most of all, prayer is so necessary. Robin is a coach and the Self Publishing Maven who helps her clients share and publish their stories. She also has a book "The Gift of Cancer" scheduled to be released on December 8, 2004. She hopes to leave a legacy of books and information for people to glean from, for decades to come. There is nothing like the possibility of death to make you know what you want to do in life. Don't wait until death is knocking to choose life. Choose it now and make the decision to live, in passion, on purpose and with a sense of urgency. In April 2007 she felt a lump in her right breast. At the time she was in between jobs, experienced an insurance lapse, and didn't know when the next one would begin. This was a terrifying time for her. Soon after she landed a temp job, and within 3-4 weeks her employer offered her a permanent position with insurance. Although she was afraid to get a mammogram, she kept a positive mindset and went anyway. After her examination, her doctor told her that she had stage 2 breast cancer. All she could ask her doctor at that point was, "Am I going to live?" and "What do I tell my kids?" After her appointment she remembers driving to her kid's school to pick them up and thinking she couldn't look at them, because she knew what they were about to face. Long story short, the cancer over seven years advanced to stage 4 and has metastasized to her brain, lungs, kidney, liver, back, neck, and chest wall. She's had multiple surgeries bi-lateral mastectomy, 10-hour breast reconstruction, hysterectomy, and a brain tumor removal. She endured three bouts of radiation, one to the brain, breast, and chest wall. To her friends and family Taneeka is considered a true survivor, although her cancer isn't completely gone. She has been an inspiration to many as she has fought tenaciously for her life. There were times when the results looked grimed, but she fought to stay alive to raise her three children. To this day, doctors are shocked she is still alive. Prayer. Taneeka attributes her presence on earth today by the doing of God. She prays, reads the bible and attends church. Speaking. She speaks at various breast cancer events sharing her story and testimony with breast cancer patients, which is therapeutic for her. Creative outlets. Taneeka has always been a creative. She decided to start her own jewelry and shoes line. Taneeka, along with her son John Cunningham Jr., started a non-profit called All So Pink, where breast cancer patients can craft and sell their creations. She is also a great mom and role model to her three children. They live in Orlando, Florida. Put your faith in God! He made a miracle out of my circumstance and can do the same for you. I was moved to showcase these women in hopes that women would draw strength, courage, and hope from these stories. And to keep in mind that when your circumstance looks grim, keep a positive mindset, embrace the love and support from friends and family, and allow your faith to carry you through. Please show your love and support for these women by commenting below. Vanessa Cunningham is a Huffington Post contributor, nutrition & wellness expert of Unhealthy No More, Inc., best selling author, writer and speaker. She helps busy professionals reduce stress, banish unhealthy cravings, lose weight and increase their energy levels. She has also been featured on CNN iReport, Black Enterprise, Essence, MommyNoire, Everything Girls Love and MindBodyGreen. Head on over to her website to get your FREE gift "10 Ways to Live a Happy and Healthy Life."